The use of Situational Judgement Tests (SJTs), sometimes known as Situational Judgement Exercises (SJEs), allow employers to gain an understanding of how a person would act in a given situation. 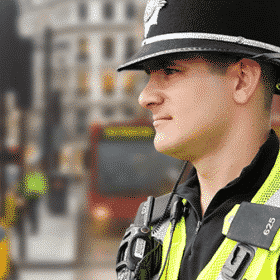 Situational Judgement Tests are becoming increasingly popular in the recruitment process. It allows employers to gain access to a person’s abilities regarding that career. They want to ensure that the person they are employing can generate a high level of performance and conduct high levels of skill and ability in an array of scenarios. Situational Judgement Tests are often used by train operating companies in the recruitment process for Train Drivers. Train Drivers need to show the ability to act in a professional and efficient way when a particular situation requires it. They need to show high levels of understanding that, although there are many ways to react to a situation, they need to act in the best possible way to ensure safety procedures are met, maintaining professionalism and ensuring the situation is corrected in the proper manner. Situational Judgement Tests are really simple, yet really effective. The test requires you to look at a particular situation, often reflecting a real life aspect of the job in question, and then the candidate must choose from four possible answers, the correct and most effective resolution. There are a number of different styles regarding the Situational Judgement Test, which all test your ability to act in a specific way. The following questions are based on ‘most effective’. Thus, you will be a given a situation, usually focused around the workplace, it will then give you four options to choose from. Now it is important to understand that for these tests, there are no wrong or right answers. However, employers will be able to gain an understanding of how you would react in a given situation. So, you need to choose the answer that would be ‘most effective’ in that situation. For the following questions, write the letter of the sentence that matches the course of action you would most likely take. (i.e. A, B, C, D.) You can check your answers at the bottom of the page. You are a Project Leader and manage four other team members. Two of the team members have told you they won’t be able to meet the deadlines of the project. The Director of the organization reminds you the importance of meeting deadlines. Which is the most likely course of action you would take? A. Adapt the workload for all Team Members to respect the deadlines. B. Discuss with the two Team Members that are having difficulties, identify the causes, evaluate the remaining workload and determine an action plan to finish the project. C. Ask the two team members that won’t submit their work in time, to work additional hours in order to respect the deadlines. D. Inform your Director of the situation. Justify the status on the project, and ask for additional resources. During your annual assessment with your Team Leader, he tells you that he considers that you could decrease your thinking time to make a decision, in order to handle more tasks. A. Justify it with the fact that the guidelines are not always clear and that you are taking time to clarify them. B. Justify it by saying that the complexity of the tasks required more thinking time. C. Reduce your thinking time and spend less time dedicated to quality. D. Keep your own way of working, but do overtime to treat more tasks. You have a new Train Conductor. He is a perfectionist and pays attention to all detail. He does not hesitate to comment on the work, even when the workload is significant and the team is having difficulties to meet deadlines. This behaviour upsets you. A. For urgent files, isolate yourself in a meeting room to work and meet the deadlines. B. Discuss it with your Head of Unit and mention the challenges faced due to the working style of your new Train Conductor. C. Discuss it with your Train Conductor of the challenges you are facing with his working style. D. During the next team meeting with your Train Conductor, mention this issue and the challenges faced due his behaviour. 1. B 2. B 3. C If you want even more Train Driver Test Questions and Answers, check out our guide: Train Driver Tests.